I know that you receive 20,000 letters a day and that you actually read 10 of them every day. I really do respect you for trying to get a pulse on what is going on out here. I know that you don’t agree with my pro-life views but I wanted to challenge you as a fellow Christian to re-examine your pro-choice view. Although we are both Christians and have the Bible as the basis for our moral views, I did want you to take a close look at the views of the pro-life atheist Nat Hentoff too. Hentoff became convinced of the pro-life view because of secular evidence that shows that the unborn child is human. I would ask you to consider his evidence and then of course reverse your views on abortion. Nat Hentoff is an atheist, but he became a pro-life activist because of the scientific evidence that shows that the unborn child is a distinct and separate human being and even has a separate DNA. His perspective is a very intriguing one that I thought you would be interested in. I have shared before many cases (Bernard Nathanson, Donald Trump, Paul Greenberg, Kathy Ireland) when other high profile pro-choice leaders have changed their views and this is just another case like those. I have contacted the White House over and over concerning this issue and have even received responses. I am hopeful that people will stop and look even in a secular way (if they are not believers) at this abortion debate and see that the unborn child is deserving of our protection.That is why the writings of Nat Hentoff of the Cato Institute are so crucial. Here he takes on Jesse Jackson!! Pro-choice bigots: a view from the pro-life left. But as Jesse Jackson decided to run for president in 1984, his fiery pro-life rhetoric suddenly subsided. If being black was a political obstacle, being black and pro-life would raise the odds much too high. Jackson understood that it is hard to be a pro-lifer if you want the support of the left–or just have friends on the left. The lockstep liberal orthodoxy on abortion is pro-choice, as Bill Clinton’s election showed and his presidency will reinforce. Dissenters are not tolerated. Nearly ten years ago I declared myself a pro-lifer. A Jewish, atheist, civil libertarian, left-wing pro-lifer. Immediately, three women editors at The Village Voice, my New York base, stopped speaking to me. Not long after, I was invited to speak on this startling heresy at Nazareth College in Rochester (long since a secular institution). Two weeks before the lecture, it was canceled. The women on the lecture committee, I was told by the embarrassed professor who had asked me to come, had decided that there was a limit to the kind of speech the students could safely hear, and I was outside that limit. I was told, however, that I could come the next year to give a different talk. Even the women would very much like me to speak about one of my specialties, censorship in America. I went and was delighted to talk about censorship at Nazareth. To others, I was a novelty. Interviews were arranged on National Public Radio and various television programs, and I spoke at one of Fred Friendly’s constitutional confrontations on PBS. Afterward, men, women, and teenagers wrote from all over the country that they had thought themselves to be solitary pro-lifers in the office, at school, even at home. They were surprised to find that there was someone else who was against capital punishment, against Reagan and Bush, and dismayed at the annual killing of 1.6 million developing human beings. They felt, they told me, that it was absurd to talk blithely of disposing of potential life. These were lives–lives with potential to someday do New York Times crossword puzzles and dig Charlie Parker. That is, if they weren’t thrown out with the garbage. I felt less alone myself. In time, I found other heretics. For instance, the bold, witty, crisply intelligent members of Feminists for Life of America. There are some in every state, and chapters in thirty-five. Many of them came out of the civil rights and anti-war movements, and now they also focus on blocking attempts to enact death penalty laws. They have succeeded in Minnesota. You won’t see much about Feminists for Life in the press. When reporters look for pro-lifers to interview, they tend to go after pinched elderly men who look like Jesse Helms and women who wear crucifixes. On the other hand, not all stereotypes are without actual models. As an exotic pro-lifer, I was invited to address an annual Right to Life convention in Columbus, Ohio. The event was held in a large field. A rickety platform faced the predominately Christian crowd. From the back of the crowd, and then moving forward, there were growls, shouts, and table-thumping. Suddenly, a number of people began rushing toward the platform. I said to the man sitting next to me, a leader of the flock, that I had not quite decided that this cause worth dying for. As it happened, the souls on fire only wanted to say that I was in grievous error about these Christian presidents because I had not yet found God. Indeed, I often get letters from religious pro-lifers telling me that it is impossible for me to be simultaneously an atheist and a pro-lifer. Some of the pro-abortion-rights leaders whom I have debated are certain of the same correlation. No serious atheist, no Jewish atheist, no left-wing atheist could want to–as my fiercely pro-choice wife puts it–enslave women. Yet being without theology isn’t the slightest hindrance to being pro-life. As any obstetrics manual–Williams Obstetrics, for example–points out, there are two patients involved, and the one not yet born “should be given the same meticulous care by the physician that we long have given the pregnant woman.” Nor, biologically, does it make any sense to draw life-or-death lines at viability. Once implantation takes place, this being has all the genetic information within that makes each human being unique. And he or she embodies continually developing human life from that point on. It missses a crucial point to say that the extermination can take place because the brain has not yet functioned or because that thing is not yet a “person.” Whether the life is cut off in the fourth week or the fourteenth, the victim is one of our species, and has been from the start. Some of us who went through the anti-war struggles of the 1960s and 1970s are now active in the right-to-life movement. We do not enjoy opposing our old friends on the abortion issue, but we feel that we have no choice. We are moved by what pro-life feminists call the “consistency thing”–the belief that respect for human life demands opposition to abortion, capital punishment, euthanasia, and war… It is out of character for the left to neglect the weak and helpless. The traditional mark of the left has been its protection of the underdog, the weak, and the poor… The unborn child is the most helpless form of humanity, even more in need of protection than the poor tenant farmer or the mental patient. Meehan’s article provoked an extraordinary amount of mail. A few writers praised The Progressive for having enough respect for its readers to expose them to a perspective opposite to the magazine’s. But the great percentage of letter writers were furious, indignant that a “left” magazine should print such vicious right-wing propaganda. As a sometime admirer of von Hoffman, I take this to be–maybe–his assuming the role of Jonathan Swift in these hard times, but it doesn’t matter particularly whether he’s serious or not. Those who see abortion as cost-effective, even humane, way to thin the ranks of the lower orders are not few in number. Pro-choicers clearly are only interested in their version of the choice in this matter. But why are the liberals among them so immovably illiberal only when it comes to abortion? The male pro-choicers, by and large, consider this to be entirely an issue for women to decide. And the only women they know are pro-choice. If a man has any doubts or subversive ambivalences, he keeps them to himself because should he speak of them, he will be banished from the company of all the progressive women he knows–and any whom he might hope to know. Pro-choice women are so unyielding because they profoundly believe that without the power to abort at will, they will be enslaved. Once an abortion is wanted, the fetus, as one woman told me, is–to some women–“the “enemy within.” In the fight not to be enslaved, liberalism is an abstraction. Accordingly, I am no longer surprised to find myself considered an external enemy. For years, American Civil Liberties Union affiliates around the country invited me to speak at their fund-raising Bill of Rights dinners. But once I declared myself a pro-lifer, all such invitations stopped. They know I agree with them on most ACLU policies, but that no longer matters. I am now no better than Jesse Helms. Free speech, after all, has its limits. This disdain on the left for anything or anyone pro-life has clearly taken a toll on the political process. Liberal/left politicians who remain true to their philosophy and oppose abortion are virtually impossible to find. Like Jackson, most simply cave in to abortion rights pressure, fearing that no matter how left-leaning they are on other issues, if they come out against abortion they will be branded as right-wing fanatics. Governor Robert Casey of Pennsylvania, a liberal pro-life Democrat, was forbidden from speaking at this year’s Democratic convention. And when The Village, Voice later offered him a forum in New York to talk and answer questions about whether it is possible to be both liberal and pro-life, he (and I, the putative moderator) was shouted down by pro-choicers. Meanwhile, the president-elect, who has been on both sides of the abortion question during his career, has already pledged to satisfy his pro-choice backers by requiring that any nominee to the Supreme Court be an explicit and public supporter of abortion rights. I saw Jesse Jackson recently on a train, and we talked for quite a while about George Bush’s awful nomination of Ed Carnes to the federal bench. An assistant attorney general in Alabama, Carnes built his reputation on sending people to “Yellow Mama,” the state’s electric chair. He would replace Frank Johnson, whom Martin Luther King once described as “the man who gave true meaning to the word justice.” (A few weeks later Jackson joined the campaign to defeat the nomination. To no avail. Carnes was eventually confirmed.) I then asked Jackson about another form of execution. I told him that in speeches I often quote what he wrote as a pro-lifer. He looked uncomfortable. I asked him if he still believed what he said then. “I’ll get back to you on that,” he said. He hasn’t yet. In the past I have spent most of my time looking at this issue from the spiritual side. In the film series “WHATEVER HAPPENED TO THE HUMAN RACE?” the arguments are presented against abortion (Episode 1), infanticide (Episode 2), euthanasia (Episode 3), and then there is a discussion of the Christian versus Humanist worldview concerning the issue of “the basis for human dignity” in Episode 4 and then in the last episode a close look at the truth claims of the Bible. I truly believe that many of the problems we have today in the USA are due to the advancement of humanism in the last few decades in our society. Ronald Reagan appointed the evangelical Dr. C. Everett Koop to the position of Surgeon General in his administration. 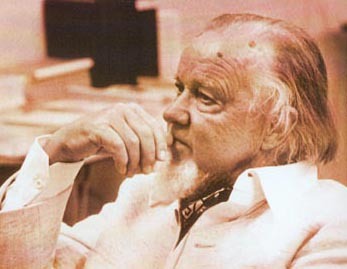 He partnered with Dr. Francis Schaeffer in making the video below. It is very valuable information for Christians to have. Actually I have included a video below that includes comments from him on this subject. Thank you so much for your time. I know how valuable it is. I also appreciate the fine family that you have and your commitment as a father and a husband. Now after presenting the secular approach of Nat Hentoff I wanted to make some comments concerning our shared Christian faith. I respect you for putting your faith in Christ for your eternal life. I am pleading to you on the basis of the Bible to please review your religious views concerning abortion. It was the Bible that caused the abolition movement of the 1800’s and it also was the basis for Martin Luther King’s movement for civil rights and it also is the basis for recognizing the unborn children. « Open letter to President Obama (Part 612) Hypocritical leftists take advantage of tax havens!! !